The Virginia General Assembly created the Workforce Credential Grant program in 2016. Graduates say the program is giving them a brighter future. When Briley Thomas began exploring medical assisting programs, she was shocked. Sticker shocked. 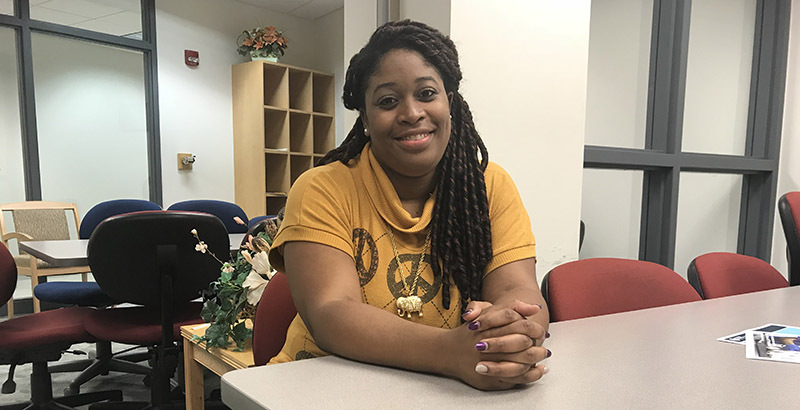 Browsing Tidewater Community College’s website, she visited the health professions page and found information about the clinical medical assisting program offered at the Center for Workforce Solutions. In talking with Lisa Peterson, associate vice president for professional development there, she learned about something called the Workforce Credential Grant (WCG). Created in 2016 by the Virginia General Assembly, the program makes specific short-term workforce training programs more affordable to students. It’s a win for employers, who fill in-demand jobs with employees who have a solid skill set. And it’s a win for graduates like Thomas. Completing the program qualified her to sit for the Certified Clinical Medical Assistant exam, which resulted in a credential. The grant covered the cost of the exam. A 120-hour externship at a Virginia Beach medical office gave her hands-on training. Students pay the initial one-third of the course cost at the time of registration. After achieving the credential, the remaining two-thirds is paid by the WCG. Those who meet certain eligibility requirements can receive financial assistance that could pay up to 90 percent of costs. Since the program’s inception, 8,228 high-demand credentials have been earned with job placement rates, in some fields, as high as 90 percent or greater. “These are not just numbers, these are people and families whose lives are positively impacted,” said Corey McCray, TCC’s vice president for Workforce Solutions. Demand by students and businesses was so great that the state’s initial $12.5 million investment has been exhausted. Gov. Terry McAuliffe’s proposed budget would increase funding for the program by $2 million for the rest of the current fiscal year, and increase its annual allocation up to $15 million in the state’s new two-year budget. Virginia’s Community Colleges, in partnership with businesses across the commonwealth, are working to ensure the program continues. Along with health care, cybersecurity, maritime and logistics, trucking and welding have been identified as high-priority programs. 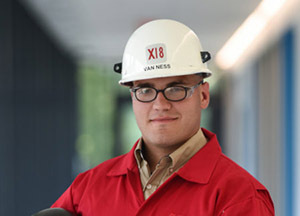 Last year, Micah Van Ness used the WCG after being accepted into a training program that is a partnership among TCC, the Virginia Ship Repair Association and Newport News Shipbuilding. After completing a three-week program in welding, he was immediately employed by the shipyard. Thomas also had a job waiting after she finished the medical assisting program. She has since earned an even better one with excellent benefits at an urgent care center in Virginia Beach. Now in addition to working, Thomas is back at TCC taking classes toward an Associate of Science in Nursing. “The grant opened a lot of doors for me,” she said. Virginia’s Community Colleges market the grant program as “Fast Forward: Credentials for a Career That Matters.” For information, visit fastforwardva.org.